Without exception, every business needs to have an internet presence, which means that as a business owner, you have to decide on a broadband plan for your company. 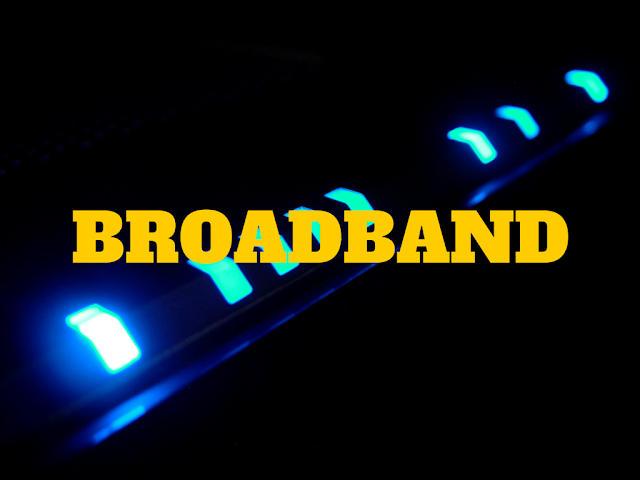 The problem is that there are so many available business broadband plans that finding the right one for your requirements can take some time. In general, there are 5 different types of business broadband plans you need to decide between, so let’s take a look at each one in turn, so you can make the best decision for your business. Ethernet broadband fits in between the slower ADSL broadband and cable broadband. It is faster and more reliable than the regular ADSL lines, but not as costly as cable. This is suitable for businesses running web based applications (because you need fast upload and download speeds) and for when you use off-site backup services or VPNs. Wireless Ethernet is really only suitable as a backup to your current Ethernet broadband service or for businesses in locations where fixed line Ethernet services are not available. So for example, if you have hosted voice systems, along with networks to a large number of offices, then a wireless Ethernet backup service might be a strategy that suits your needs. Otherwise, only consider wireless Ethernet if you are unable to access another type of broadband service in your location. This is similar to cable broadband, but ADSL 2+ uses copper lines exclusively, whereas cable uses a Coaxial Cable . They both offer the same speeds, but the quality of your ADSL 2+ connection depends on the distance between your business and the telephone exchange (ADSL 2+). ADSL 2+ is the most common form of broadband used in Australia today, mainly because of a lack in the required infrastructure for cable broadband. Business grade ADSL 2+ gives you preferential treatment, so you don’t have to fight for internet connections with regular households using the same type of broadband. If you are always on the road building your business or visiting clients, then a mobile broadband plan is a must for your business. This gives you the freedom of broadband on any of your mobile devices, laptops or gadgets, anywhere in Australia, anytime 24/7. Even if you have a physical store or office, a mobile broadband plan is going to work out cheaper than buying individual sim cards or dongles for every employee - who needs to use a mobile device or laptop in your business. The bee’s knees in internet access, NBNs offer very fast upload and download speeds and are extremely reliable. This means that you can work faster online, have less problems with buffering and also upload and download large files quickly. The other perceived benefit of NBNs is that everyone will have these fast connections, regardless s of whether your business is in a city or in the middle of the outback. The problem is that the availability of the NBN network is currently very limited and its rollout is fairly slow. So if you can access the NBN network - that is the way to go for your business. Otherwise, check out ADSL 2+ for your business, with mobile or wireless broadband as options.